The Urban and Biodiversity Research, Development and Extension Center (UBRDEC) played a key role on the occasion of the 12th Southeast Asia Biosphere Reserves Network (SeaBRnet) Meeting held on March 25-29, 2019 in Legazpi City, by facilitating a technical visit of the delegates at the bambusetum and kawayan tinik plantation in Ligao City, Albay. The Southeast Asian Biosphere Reserves Network (SeaBRnet) was created in 1998 under the United Nations Educational, Scientific and Cultural Organization’s (UNESCO) Man and the Biosphere (MAB) Program. Its member nations–Cambodia, Indonesia, Laos, Malaysia, Myanmar, the Philippines, Thailand, Vietnam and Timor-Leste–aim to foster cooperation on various scientific, ecosystem and biosphere reserve management related issues. Other Asian countries such as China, Japan and Korea often participate in its activities. The Provincial Government of Albay hosted this year’s meeting. Around 150 delegates composed of MAB council representatives from the member nations; experts from Japan, Korea, China and Australia; UNESCO national committee staff from Indonesia, Thailand, France and the Philippines, as well as local representatives and stakeholders joined the meeting. Albay is one of three UNESCO biosphere reserves in the Philippines, having been designated in 2016. 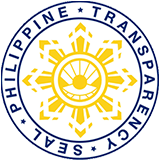 The other two reserves, Palawan and Puerto Galera, Oriental Mindoro were designated in 1990 and 1977, respectively. On March 26, up to 60 delegates arrived in two separate groups at the Ligao City Bambusetum and Kawayan Tinik Plantation for a technical visit. Armed with decades of experience in the field of bamboo, For. Santos led the guided tour, sharing important facts and figures about bamboo, its role in maintaining ecological balance within the biosphere as well as its economic uses and benefits.